If America's No. 1, Who's No. 2? 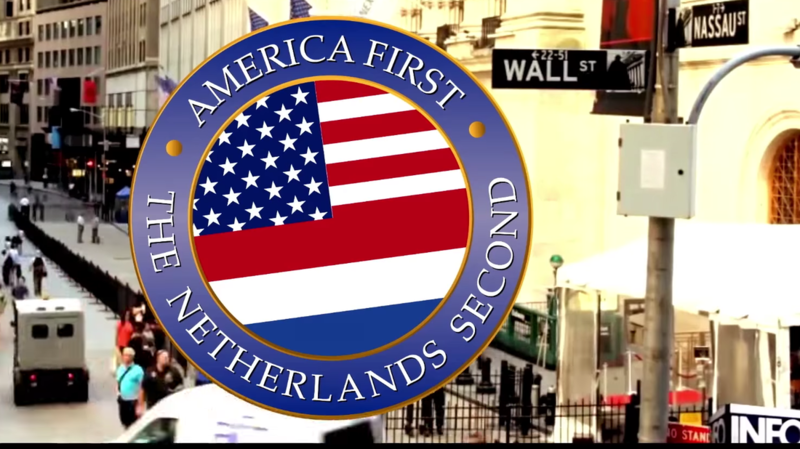 European Nations Compete For The, Uh, Honor : The Two-Way "We totally understand it's going to be America First," a Dutch show said two weeks ago. "But can we just say The Netherlands Second?" Now they've got competition, as other countries join the fray. The Netherlands was the first to ask to be second ... but they certainly weren't the last. In his speech, Trump delivered the following memorable line: "From this day forward, a new vision will govern our land. From this day forward, it's going to be only America first, America first." The phrase "America First" has a long history tied to isolationism and anti-semitism, as NPR's Greg Myre and Scott Simon have recently explained. But for one Dutch comedy show, the phrase carried something else ... Opportunity. "In December we've got this scandalous tradition of Black Pete. It's the most offensive, the most racist thing you've ever seen. You'll love it, it's great. "We also have a disabled politician for you to make fun of. ... "
"We totally understand it's going to be America First," the video concluded. "But can we just say, The Netherlands Second? Is that okay?" That was two weeks ago. The video went viral, racking up more than 20 million views on YouTube. And in the last four days, a host of other nations created matching videos in a strange satirical contest to win the No. 2 spot in Trump's heart. And many more, as videos, often produced by comedy TV shows, have poured in — from Germany, Belgium, Luxembourg, Lithuania, Portugal. On Monday, Italy and Croatia chimed in. Morocco made a pitch for a non-European nation to take the slot. A website, EverySecondCounts.eu, popped up to keep track of all the "entries." The videos are a mix of straightforward national pride — Switzerland praising its mountains, the Netherlands and Germany espousing the virtues of their languages — and a self-deprecating, Trump-lacerating emphasis on national shames. In the original video, the Netherlands highlighted its racist Christmas blackface tradition (which is real). Switzerland, for its part, presented this: "We also love to treat our women badly. Love it. We didn't let them vote until 1971. In some places even until 1990. We grabbed them by the civil rights. And they let us do it! It was great." "Just like you, we had one of the best slavery businesses in the 17th century," Morocco submitted. "We also have the best TV channels in Morocco. Our state TV station even teaches women how to cover up bruises due to domestic violence." And then there's Germany, of course: "Great leader, so smart, great hair, great suit, look at his suit. He made Germany great again. The media totally loved him. Wrote only nice things about him. Great guy. Total winner. His book a bestseller," the narrator drones, over photos of Adolf Hitler. "Steve Bannon absolutely loves him," he says. And upon occasion, the videos strike a serious policy note. "And last but not least, we've got a great, great, great dependency on the United States," the original Dutch video intoned. "It's huge. If you screw NATO you're going to make our problems great again. ... Please don't." You can watch more of the videos below, and keep an eye on Every Second Counts for new entries. Rumor has it entries from Spain, Slovakia and Australia are on their way.